If you like to give out gift baskets for the holidays you can order them Costco.ca and earn double Aeroplan miles on them until November 24. Find out more here. In the bonus offer section you'll see an Aeroplan rebate for stays at the new Delta Toronto Hotel. Now that this hotel is open we're seeing more offers like these. Amex is offering select cardmembers a $100 statement credit if you spend $500 at the hotel and now there is this Aeroplan offer. 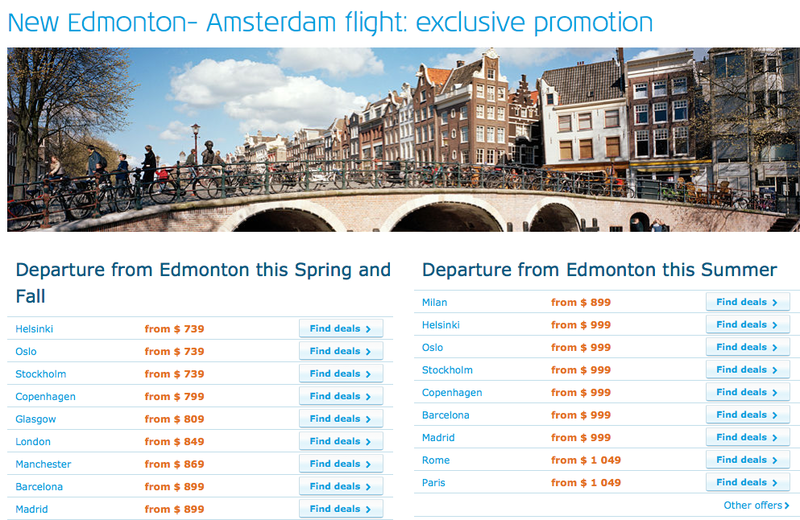 KLM is ramping up the deals for their new Edmonton to Amsterdam route that launches on May 1st 2015. Right now you can fly for as low as $739 all in from Edmonton to Europe! Book by Nov 23 for travel in 2015! Book online here.